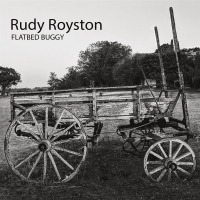 A veteran rhythm-man whose long list of credits includes work with Bill Frisell and Dave Douglas, Rudy Royston already had a couple releases on Douglas's Greenleaf Music label (303, from 2014, and Rise of Orion (2016), and now Flatbed Buggy continues this promising track record with a winsome set of music that manages to pull off the difficult trick of sounding simultaneously earthy and refined. Royston intended the music to capture memories of summers spent with his father in rural Texas, and there's a robust Americana-vibe to these cuts, not dissimilar to Frisell's approacha strong parallel being the guitarist's This Land (Nonesuch, 1994). 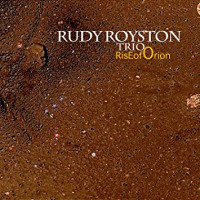 And Royston's love of melodicism is also in evidence, as one finds on much of the music he's made with another of his frequent partners, trumpeter Ron Miles. The instrumentation here is especially effective in providing a buoyant richness, with John Ellis's bass clarinet fusing wonderfully with Hank Roberts's cello and Joe Martin's bass, and Gary Versace's sublime accordion parts floating over the surface to enhance the music's emotional potency. The twelve tracks are well-paced, with longer pieces mixed with brief interludes to provide contrasting rhythmic digressions. 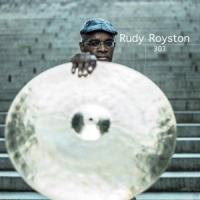 Royston's a powerful drummer (witness his especially punchy solo on "Bobblehead"), but he largely holds that power in reserve here, offering sympathetic commentary that allows him to blend in seamlessly with the quintet. It's on the shorter tracks where he gets to groove a bit more, like "Bed Bobbin,'" where we hear Royston's funkier side, or "Dirty Stetson," another down-and-dirty outtake. One could easily imagine another album built around lengthier developments of these enticing, somewhat too-short teasers, but most of this one sticks to a more patiently-presented, almost chamber-like exploration of melodic strands that depend much more on subtle complexity for their appeal. With well-crafted tunes that are catchy and hummable on first listen, pieces like "Soul Train" and "boy...MAN" offer their charms more fully upon second and third encounters, as one begins to appreciate how much each musician is doing in conversation with the others. For music that at times sounds misleadingly simple, there's plenty of space to allow for little gestures of spontaneity that give the pieces their supple, irresistible character. Robert's ability to move back and forth between arco and pizzicato playing enables him to provide a wide range of color to the tracks, and Versace is just as capable of offering jaunty solos (as he does on the infectious title track, or on "Hourglass") as he is in augmenting the mood of the music through perfectly-placed, less-obvious interjections. His nuanced shadings on "Roadside Flowers" are especially skillful, whether in stating the melody or in support of Ellis's yearning tenor sax solo. It's an hour's worth of music that feels like a lot more, simply because the quintet's artistry is so richly imbued with intricate layers of melody and rhythm. One of the more memorable and enjoyable releases of 2018, to be sure. Track Listing: Soul Train; Bed Bobbin’; Flatbed Buggy; boy…MAN; Twirler; Dirty Stetson; Hourglass; Bobblehead; The Roadside Flowers; Hold My Mule; girl…WOMAN; I Guess It’s Time to Go. Personnel: Rudy Royston: drums; John Ellis: bass clarinet, saxes; Gary Versace: accordion; Hank Roberts: cello; Joe Martin: bass.